If recent years have been any indication, staying informed and engaging in local politics is vital to the effective functioning of our communities. While city council coverage may not be as engrossing as, say, unearthing racist photos of UNT students in the 1950s, the Denton City Council election is almost here. For the sake of future and current residents, it deserves a moment of your time. The North Texas Daily Editorial Board explored each candidate’s platform, background and potential in order to determine which one should be considered for election to District 3. The district contains all of UNT, according to Denton’s voter district map. For the most part, the candidates in this race seem focused on similar issues — dreadful road conditions, nonexistent tenant rights, growing pains — but under a magnifying lens, one salient candidate’s determination places them above their competition. The Editorial Board narrowed our endorsement down to candidates Diana Leggett and Matt Farmer. One common deciding factor was our disappointment in District 3 candidate Jesse Davis’ refusal to step down from his position as chairman of the Board of Ethics supervising the city council. A candidate adamantly campaigning for a spot on a council he currently monitors for ethics violations seems wildly suspicious and ironically unethical. Just because the ethics ordinance doesn’t prohibit this scenario, it doesn’t mean it is appropriate. 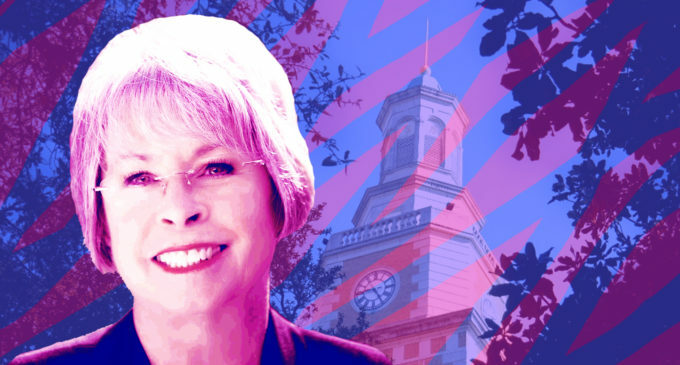 Candidate Diana Leggett entered the race for District 3 after falling to Republican challenger Andy Eads in the race for Denton County Commissioners Court in November. She says her decision to run for city council was informed by the same reasons she ran for county judge — to help preserve and improve the environment in the area, revamp city infrastructure and enhance the relationship between city leaders and constituents, according to North Texas Daily. Leggett received a majority vote in District 3 during the county judge race, according to her campaign website. Considering this, we can tell Leggett is a favorite among residents in this district and will foster better communication with these residents to ensure their complaints are understood and prioritized. Her commitment to listening is one of the traits that attracted these votes in the first place. To this end, Leggett wants to implement regular town hall-style meetings in the district so she can hear constituents directly. Her long career as a paralegal has equipped her with acumen for understanding and improving legislation, something the city council has been struggling with. Leggett also has experience as a school teacher, giving her invaluable insight into the efficacy of Denton’s education system. And she isn’t all talk. Leggett’s past shows she is a woman of action and is more than willing to put in the work to see change in her community. Leggett has substantial firsthand experience dealing with problems facing the city. She founded and maintains a nonprofit, full-scale wildlife rehabilitation center from her home because she saw an overwhelming need for it, thanks to Texas’ increasingly long rabbit mating season. She has proven that in the face of seemingly insurmountable problems, she remains undaunted and committed to leaving situations in better shape than when she found them. Denton City Council early voting begins April 22 and Election Day is May 4. More issues on Leggett’s platform are available on her website, diana4d3.com. For information on voting locations, dates and other resources, visit votedenton.com. The major concerns in our area have fallen on deaf ears for too long. These matters need to be acknowledged and addressed, not written on a Post-It note and abandoned. Leggett is ready to represent the city she’s lived in, worked in and observed for decades. If elected, we believe Leggett will not hesitate to hit the ground running and get her hands dirty in the name of progress. And if Leggett cares for her constituents as much as she cares for her wildlife patients, we will be in good hands. Featured Illustration by: Jordan Collard. NT Daily is doing such wonderful work these days. As one who refused to let the subject of a polling location at UNT die when it was about to quietly do so, I hope you will do some coverage of that in time to help make sure all registered voters in Denton County know they can use the Greek Life Center poll (1621 Welch) during early voting (4/22-30) and Precincts 4039 and 4045 can use it on Election Day (May 4). I recommend voting early to avoid any confusion. FYI, as regards City of Denton, there are a few campus residences at UNT that are not in District 3. Victory Hall is in District 4. Emily Meisner is a great candidate there and Victory residents may remember her from registration efforts there last fall. The Forum, and other apts. nearby, are in District 1. George Ferrie has been making inroads on incumbent Gerard Hudspeth, especially among students at TWU. I hope NT Daily will also consider endorsing Emily and George. Again, thank you for all the great work you are doing, NT Daily. Wish I could vote for her, she’s a great caring person who loves her community and believes in keeping Denton unique and not just another strip mall/concrete desert like so many other North Texas cities. Not suprising that the UNT paper would refused to even consider Jessie Davis. If they did they would get berated by Paul’s wife or get an F by Armintor. To boot isnt it a little ironic for them to tout a paralegal over a lawyer?